We all love Python, is a multi-paradigm dynamic programming language very popular in data science and other areas due to great library support. It is also pretty popular in web development although I am quite unfamiliar with that area. That's a whole of different world for me. Besides some small quirky things in the language, I am quite happy with the language and how it is evolving. 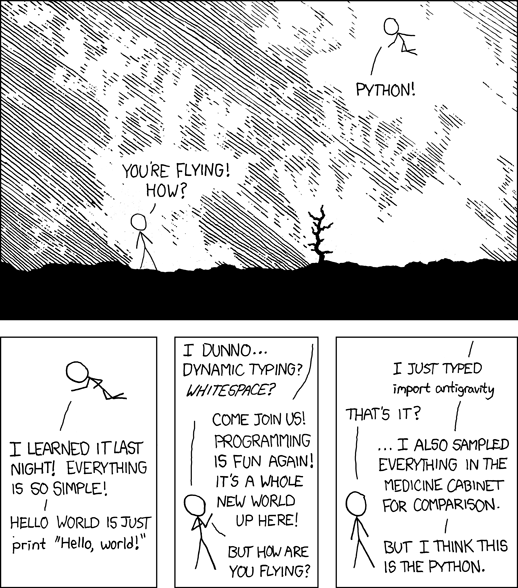 However there was an area I always felt Python was letting me down. While is easy to hack around scripts and get something running, in particular something with Machine Learning. Building large scale. Contents © 2017 mfcabrera - Powered by Nikola, Emacs and Org-mode.